Oh boy, am I in trouble… one try and I am hooked. So I definitely want to be using materials found much closer to home- eucalypts, acacias and all our other wonderful Australian plants, as well as weeds and other exotics found around here- and investigating natural mordants like rhubarb and sorrel…. but, for a beginner, these woods were great to start on because they are so dramatic and the colour transfer happens pretty much instantly. Elizabethan colours. Wow. 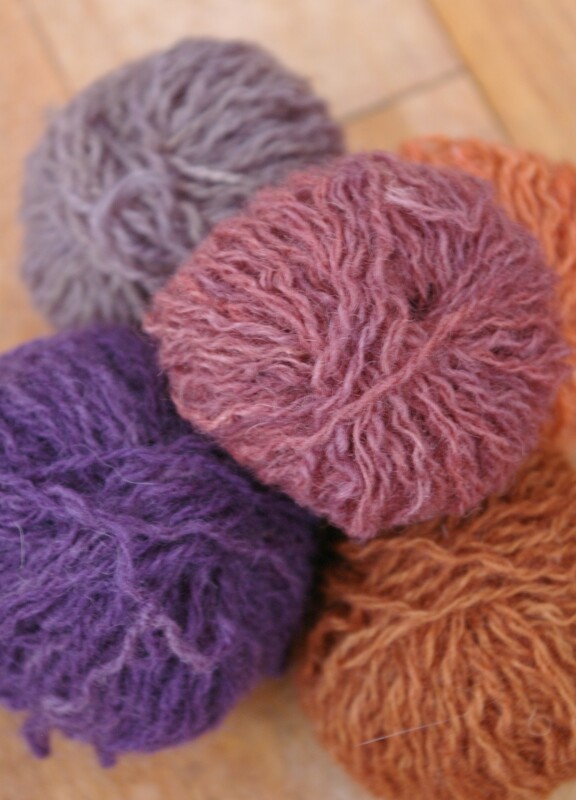 This entry was posted in knitting and yarn, plants on September 18, 2011 by admin. These are gorgeous. Love to see how your further experiments go. What beautiful colours I really like them. Goodness, those are lovely colors! Amazing colours Jules! So beautiful. Those colours are quite amazing, like magic! 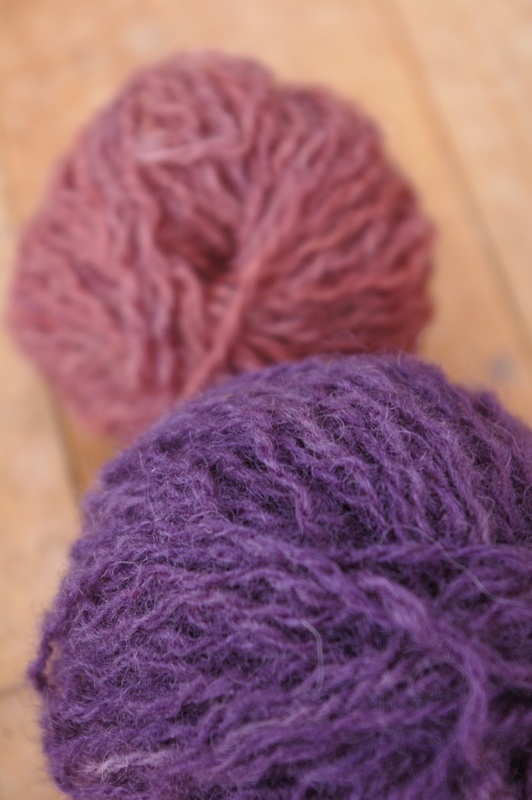 They are such vibrant colours, not what I usually associate with natural dyes. Beautiful! Have you read India Flint’s book Eco Colour? 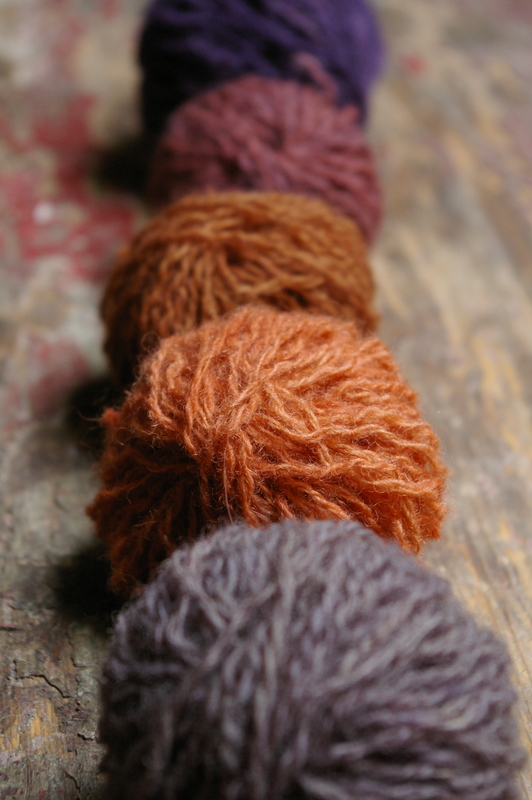 She’s based in Australia and has some inspiring suggestions for natural dyeing. Trouble is, as you’ve just found out, one you start you’re hooked!